When walking through residential streets, there's the odd time when I'll be able to smell the scent of fresh laundry wafting from certain houses and when that happens, I like to guess what brand of laundry detergent is being used. It's very relaxing. 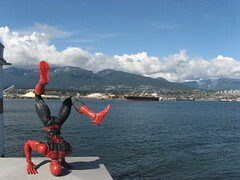 In other news, I took nine new Spider-Man poses pictures a few weeks ago, all in the Vancouver area. 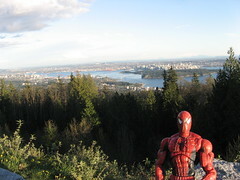 Stanley Park, English Bay, and halfway up Cypress mountain. New pics start here with preview below. 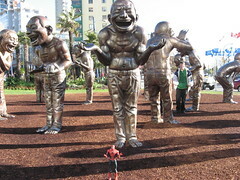 There are live animals in one of the pictures. Gas has been in the 133.9 - 136.9¢/litre range.